It's easy to take clean water for granted in developed countries, where pristine water is available with just the turn of a handle. However, 783 million people worldwide do not have that luxury. In areas that lack purified water, primarily found in sub-Saharan Africa, adults and children alike are forced to walk miles just to fill a bucket with contaminated water. It is a cruel catch-22. While these people cannot, of course, live without water, the contaminated water that is at their disposal leads to 80% of all illnesses in the developing world. Often they have to boil water to evade the teeming bacteria that lurk within, but many cannot due to lack of fuel. As a result, 1 in 5 African children under the age of five die due to a water-born illness. It's easy to shrug this off; to go about your ever day business and forget about the people who are suffering thousands of miles away. I urge you not to take the easy path. I urge you to take action, so that the needless suffering of innocent men, women, and children can come to an end. This disparity in resources between the developed and developing world has gone on long enough. It's time that we stop talking about it, and start doing; that we stop deploring what we lack, and start exploring what we can provide. 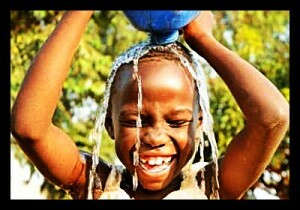 Whether they live thousands miles away, or just next-door, everyone deserves to have clean water. I hope you'll consider joining me to fund this water project. With your gifts and your rallying support, we can provide clean, safe and reliable water to a community in Africa, and finally put an end to this disparity. Please make a donation and then help me spread the word. Thank you! 05/13/16 Deborah Bolm $111.11 Go Hespy! 05/10/16 Julian Tan $35.29 Always here to support you Hespera! 05/09/16 Marlene Prescott $35.29 Thank you for giving me this opportunity to have water flow! 04/18/16 Jackie Pelegrin $10.59 Thank you for providing clean water to those who need it most. 04/12/16 Nathan Hollis II $100.00 May God continue to bless and cover this project so that the time and resources needed are provided directly to those most affected. 03/31/16 Anonymous $10.59 Hey Hespera! You're doing great things for the world! 03/25/16 P Shah $10.00 Keep it up, Hespera! 03/24/16 M. RenÃ©e Fulsom $140.25 Water is a right that those that need it should never have to pay for it! 03/22/16 J Henry Ambrose $70.28 For a worthy project. 03/22/16 Jim Greene $68.00 Best regards for a successful project from a former PC volunteer. 03/17/16 Herb Eichen $34.00 Way to go, Hespera!! !...May you be Victorious in attaning your goal !! 03/13/16 Wayne Purdin $68.00 Way to go, Hespera!